Think of the human mind as a hard drive where all your life experiences are stored like pictures. We’re all familiar with the phrase, “I just can’t shake that picture out of my mind”, and this is also true in the metaphorical sense. We just can’t let go of certain experiences, and this affects how we go about the world. Often, this holds us back from achieving our true potential self because we are bogged down by the emotions and memories that our minds have held on to for so long. We tend to look outside ourselves for the answers to life’s pressing problems, but to practitioners of meditation the answer always lies within ourselves. 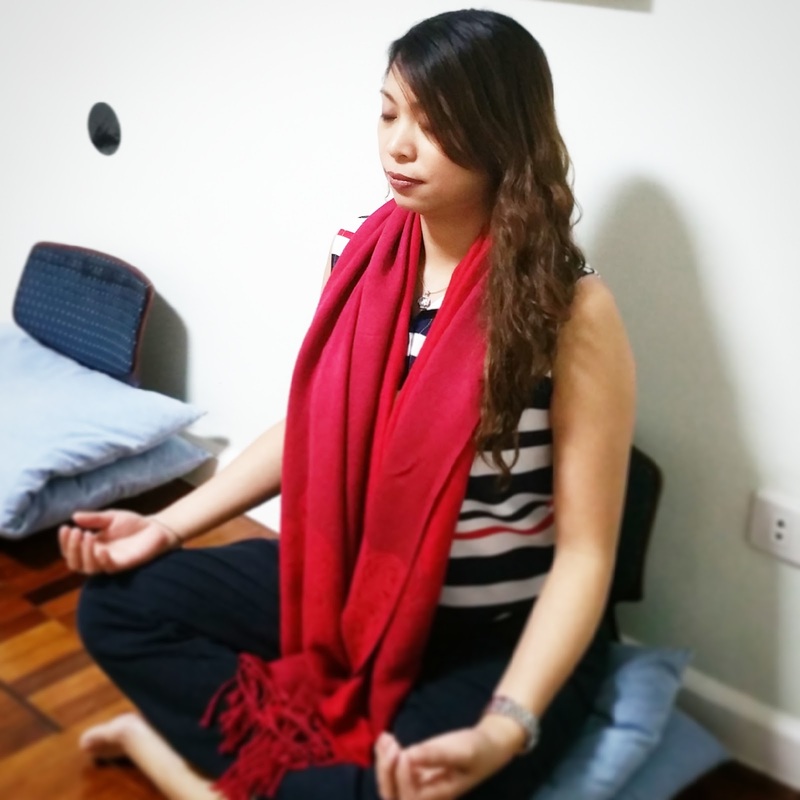 Makati Meditation and Ortigas Meditation are two groups in the Philippines that encourage the practice of subtraction meditation as a method towards lasting happiness. Humans take pictures of all experiences through the five senses – eyes, nose, mouth, ears, and body- and store those pictures in the mind. Pictures of our family, our childhood, fighting with friends, even memories of our first love, we have taken pictures of them and stored them in our mind. Stress, worries and all the moments of hardships are pictures in our mind. These pictures trouble us and we cannot escape from this for the rest of our lives. Throwing away these pictures in the mind is the Subtraction Meditation method. The Subtraction Meditation is a meditation method that is composed of seven levels which is about throwing away the false mind or pictures in the human mind. The meditation helper guides students in each level. As one goes through the levels, practitioners eventually enlighten by themselves. The change towards lasting happiness starts with self-reflection. Through the practice of meditation, the time and energy spent on useless thoughts are lessened, allowing one’s self to focus on the most important things in life. Before we start new things we should take time to look back to the past and assess ourselves. This also applies to our workplace, school and community. We examine our success and failures; we learn from our past mistakes and prepare to do better in the future. As much as we empty our mind, the more our inner strength takes root. When we empty our minds, the human mind transforms. Through meditation, one can have a broad and caring mind, being considerate of others, smiling more often, being calm and becoming more focused coming from inner peace. Having a clear mind, one can make wiser decisions in every moment. “I can find my inner peace without self-defeating talk or having to worry about judgement or criticism from other people,” says practitioner Gerilyn Baltan, who is a marketing manager by profession. The benefits of meditation bleed onto every aspect of your life. The normal tendency is to fix problems at hand which may not necessarily address to root cause of those problems, meditation is a holistic approach that everyone can do if they just take the time. At Makati Meditation practitioners come to the center usually after work. Some of them come around lunch time or before work so they can make use of their time meditating in the center instead of being stuck in traffic. They cannot emphasize enough that anyone can do meditation. Practitioners range from businessmen, employees, students, housewives etc. People from all walks of life with diverse religious beliefs and nationalities come to meditate. While the language that surrounds meditation can be a heady concept, the objectives are very grounded. Increasing self-confidence, overcoming traumatic experiences, eliminating stress are just some of the main ones. So for people who hesitate with the jargon and find that inner peace is a little too abstract, there’s still a takeaway for them here. 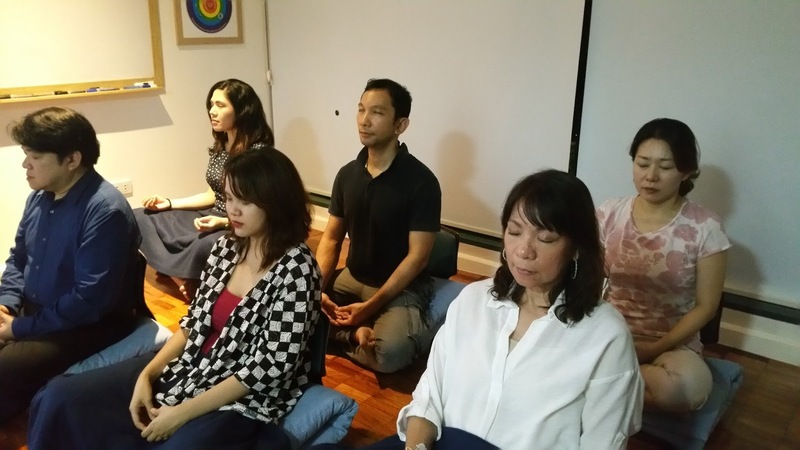 At Makati Meditation and Ortigas Meditation, they often start with a lecture before meditation, which includes achieving the proper posture and participants are guided through the session accordingly. For beginners, this is a helpful process to orient oneself to the practice. Even longtime practitioners find guided meditations helpful when they’re finding it particularly difficult to quiet the mind. At Makati Meditation they encourage participants to meditate twice a week. At first, a one on one session with an instructor is advised, but after two weeks, practitioners can choose to join the group class. Studies show that group meditations are an even more powerful force for peace. Book your free introductory seminar at Makati Meditation Center or at Ortigas Meditation center now.